Video game giant Electronic Arts might not be rumored to be launching an always-online console, but people are pretty mad at them nonetheless. They have been a lot, lately, and now it seems that EA might be about to repeat its standing in a web poll that invites the online public to name the worst company in America. 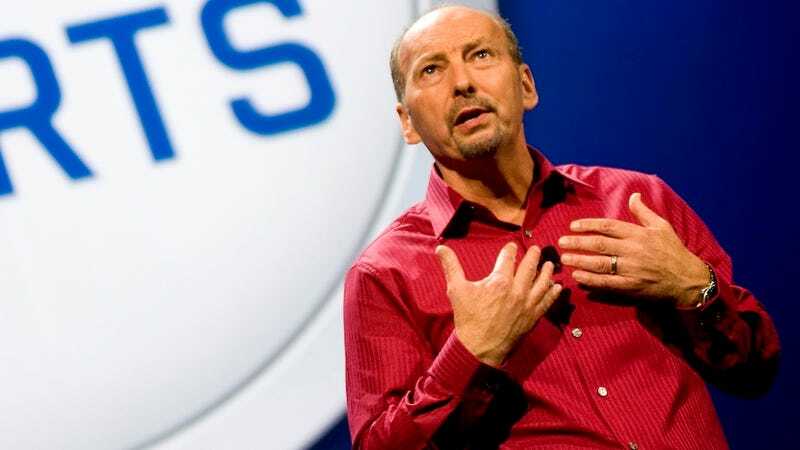 EA's chief operating officer Peter Moore has some thoughts about that. This is the same poll that last year judged us as worse than companies responsible for the biggest oil spill in history, the mortgage crisis, and bank bailouts that cost millions of taxpayer dollars. The complaints against us last year were our support of SOPA (not true), and that they didn’t like the ending to Mass Effect 3. This year’s contest started in March with EA outpolling a company which organizers contend is conspiring to corner the world market on mid-priced beer, and (gulp) allegedly waters down its product. That debate takes place in bars – our audience lives on the Internet. So no surprise that we drew more votes there. Let me cut to the chase: it appears EA is going to “win.” Like the Yankees, Lakers and Manchester United, EA is one of those organizations that is defined by both a legacy of success, and a legion of critics (especially me regarding all three of those teams). Are we really the “Worst Company in America?” I’ll be the first to admit that we’ve made plenty of mistakes. These include server shut downs too early, games that didn’t meet expectations, missteps on new pricing models and most recently, severely fumbling the launch of SimCity. We owe gamers better performance than this. That last one is particularly telling. If that’s what makes us the worst company, bring it on. Because were not caving on that. We are committed to fixing our mistakes. Over the last three weeks, 900,000 SimCity players took us up on a free game offer for their troubles. We owed them that. We’re constantly listening to feedback from our players, through our Customer Experience group, Twitter, this blog, or other sites. The feedback is vital, and impacts the decisions we make. I expect the debate will include a lot of comments under this post. But here’s the truth: each year EA interacts with more than 350 million gamers; Origin is breaking records for revenue and users; The Simpsons: Tapped Out and Real Racing 3 are at the top of the mobile charts; Battlefield 3 and FIFA are stunning achievements with tens of millions of players; and SimCity is being enjoyed by millions of passionate fans all over the world. Every day, millions of people across globe play and love our games – literally, hundreds of millions more than will vote in this contest.